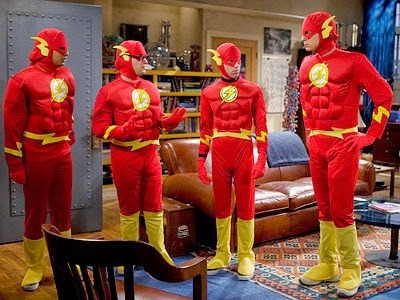 CBS's wildly popular "The Big Bang Theory", while not my cup of tea, seems to have a really nice relationship with DC Comics. The characters are always visiting the local comic shop where a treasure trove of DC comics and merchandise are displayed quite conspicuously. They frequently wear DC-themed t-shirts and merchandise, and on special occasions, even dress like DC characters. I get the impression that they even mention DC comics characters and events pretty frequently. - Thanks to Sheldon, the Flash symbol is one of the most visible graphics in America right now. 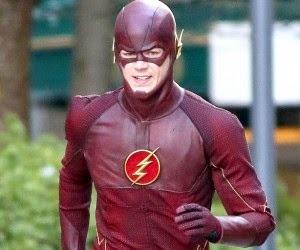 Now, The Flash in CW network's upcoming The Flash tv show features a symbol on his chest that mostly resembles the classic version, but instead of the red color in it, they should go back to the more recognizable classic white and also make the symbol a little bigger. Brightening the costume's red color slightly might be nice too. Perhaps we can hope this recently-revealed costume is just the Flash's prototype suit anyway? - With Superman, Batman, Wonder Woman and Cyborg all confirmed to be showing up in the upcoming untitled Batman vs. Superman movie - Warner Brothers should capitalize on The Big Bang Theory exposure also, and strive to get the Flash (whether it's Grant Gustin or someone else) and a new Green Lantern on the big screen (if only as cameo), and in the movie-going public's consciousness sooner than later. - WB should also pull some strings and get the Man of Steel himself, Henry Cavill, to make an appearance on The Big Bang Theory. If you're thinking that Cavill is too big for the small screen - well, when we're talking about the huge audience The Big Bang Theory garners - virtually nobody is "too big". Besides, he's a really nice guy and I don't think the female audience would mind seeing him either. I'm sure the writers could come up with an entertaining reason for him to meet up with Sheldon and the gang. Like I said, I don't really care for the show, but even I would tune in for that. 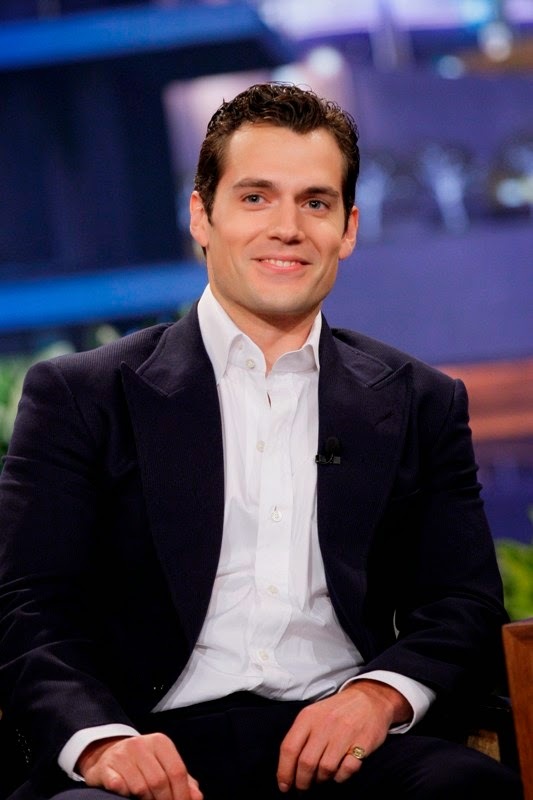 Didn't I hear that Henry Cavill and Kaley Cuoco were seeing each other a while back? - Finally, DC could even put out a Big Bang Theory comic mini-series (perhaps make it very tongue in cheek and include DC characters), and add some promotion to entice people to read other DC titles. Anyway, what do you think of my ideas for DC to make the most of their Big Bang notoriety? What are your ideas?